This printable Saint Andrew coloring page uses original art on PDF. St. Andrew the Apostle is the patron saint of Scotland. His feast day is St. Andrew's Day, November 30. 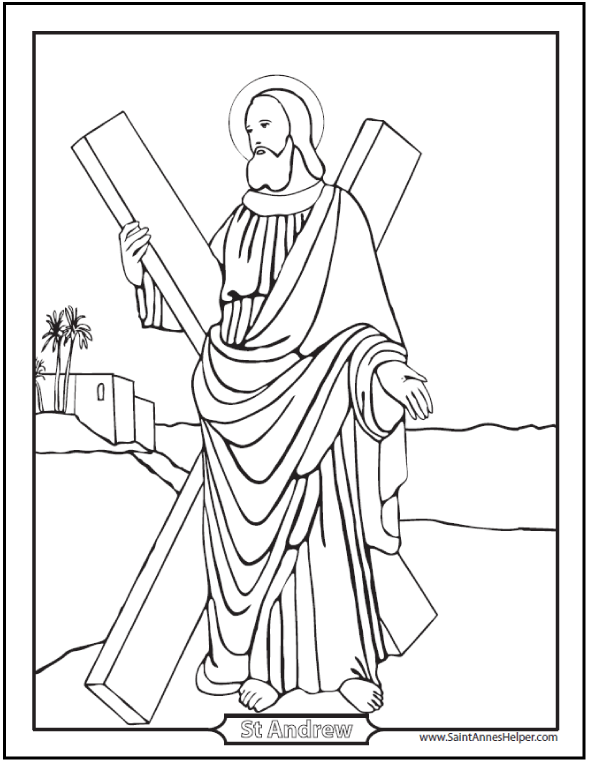 Printable Saint Andrew Coloring Page for Bible or catechism class. See more about Saint Andrew here.